MELBOURNE, Fla., Feb. 9, 2011 -- Northrop Grumman Corporation (NYSE:NOC) recently completed the JT8D propulsion pod's bleed air system's preliminary design review (PDR) for the E-8C Joint Surveillance Target Attack Radar System (Joint STARS). "The successful completion of the PDR indicates that the design is extremely mature and will meet the Joint STARS mission requirements," said Steve Pauly, Northrop Grumman program director for Joint STARS Development and Modernization. "This significant design effort has been a major focus of the Re-Engining development program." The Northrop Grumman program team is re-designing the E-8C's commercial off-the-shelf (COTS) bleed air system's equipment in support of the Joint STARS Re-Engining program. 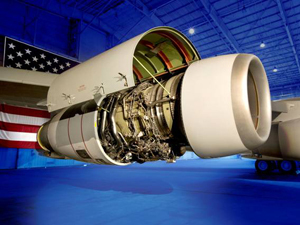 The main function of the bleed air system is to extract high-pressured hot air generated from the JT8D's engines and convert it into cool air.Â The resulting cool air pressurizes the Air Cycle Machines (ACM) which cools the aircraft's environmental control system, cabin and prime mission equipment (PME), as well as pressurizes the utility hydraulic subsystem, engine starting capability and liquid cooling system. "The newly designed bleed air system will be installed and flight tested towards the middle of next year," stated Pauly. "This is a major step toward clearing the way for full production and installation of the new JT8D propulsion pod system." Today, the 17-aircraft Joint STARS fleet is the only all-weather, long-range, real-time, wide area surveillance and battle management and command and control weapons system in the world. It is flown by the 116th Air Control Wing based on Warner Robins, Ga. and since 2001, the crews have flown over 63,000 hours in 5,200 combat missions in support of Operation Iraqi Freedom, Operation Enduring Freedom and Operation New Dawn. On Jan. 14, 2011, the weapons system marked the 20th anniversary of its first operational combat sortie in support of Operation Desert Storm. A developmental test aircraft system at that time, two E-8A aircraft were called into theatre in January 1991 by then General Norman Schwarzkopf.